This post is brought to you by Energizer®. All thoughts and ideas are my own. If you’re anything like me, you’ve been running around like a mad woman trying to wrap up holiday shopping before the weekend is over. It’s no easy task to shop for six direct family members as well as other family and friends. Now that my kids are teens and adults, it’s even more challenging to find non-toy gifts that fit their personalities and interests. Little kids were so much easier to shop for (or should I say that little kids are a lot easier to please when it comes to finding presents that they’ll enjoy?). 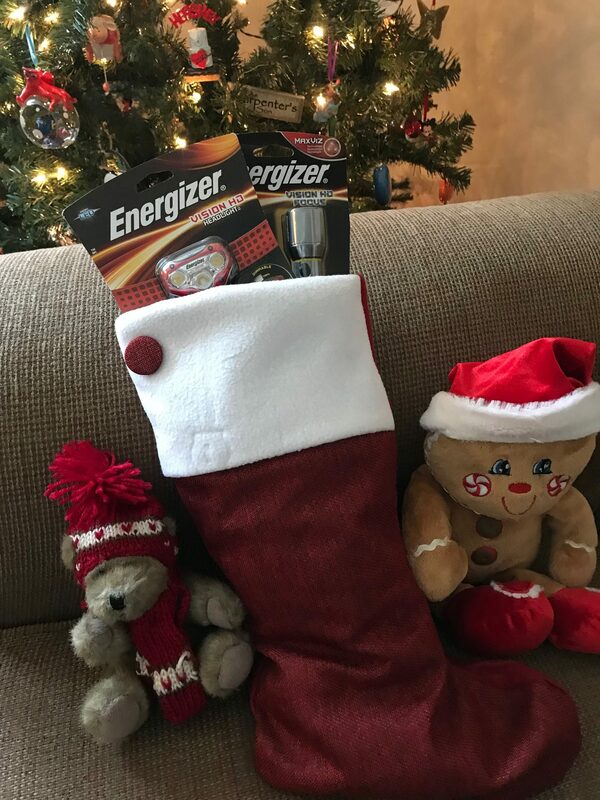 I discovered an unconventional gift that the whole family will appreciate and get tons of use out of: Energizer® Vision HD flashlights. They are the perfect stocking stuffer for every family member! We’re already stocking up on batteries for the toys that certain grown-up boys HAVE to have each Christmas. Energizer is already making a much-needed appearance under our Christmas tree. About The Energizer® Vision HD headlight: powerful beam of up to 180 lumens with 3 light modes, a new dimming feature, and pivoting functionality to direct light where you need it. It’s weather resistant and drop-tested (up to 1 meter) to stand up to harsh conditions. The innovative smart-dimming technology feature provides users with maximum run time to brighten all their hands-free activities. About The Energizer® Vision HD performance metal light with Digital Focus: ultimate light control with digital focus feature MAXVIZ™ technology. The one-press digital focus easily transitions from a full spotlight to a full flood light and the aluminum alloy exterior makes it a durable choice. Impressive run time, powerful light output and a natural daylight color. Taking the dog out at night: Our family adopted a 7-year-old rescue pitbull this fall, and so a lot of our daily routine now revolves around our furry family member. Jax may be big and strong, but when it comes to going outside in the dark, he’s a big baby! I used to use my phone’s flashlight to light both of our paths out into the backyard. Now, I use the headlight to light our way. Reading in the car: We’re heading on a winter road trip to visit family members, and we all love to read in the car. However, night traveling makes reading difficult. 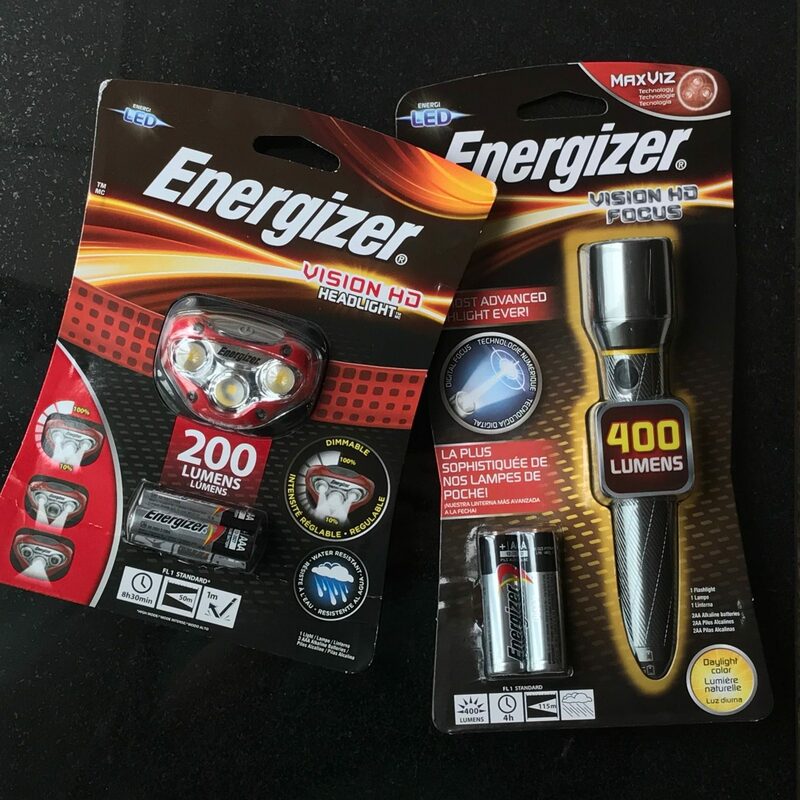 Both Energizer Vision HD flashlights are a perfect way to illuminate their reading materials without having to turn the car’s indoor lights on! Hiking, running, or night time walks: We all love hiking and camping, and while we’re in Florida, we love taking evening walks on the beach. We also have a family full of runners. It’s always important to pack a light along so that we’re prepared when the sun goes down. Hobbies and projects: A few of my family members (yes, I’m pointing right at you, AJ!) love to work on DIY projects constantly. The Energizer Vision HD headlight is the perfect way to spotlight your projects while keeping hands free to build and create. Holiday storage: Once the holidays are over, we’ll be packing up the holiday decorations and packing them away in the attic until next December. 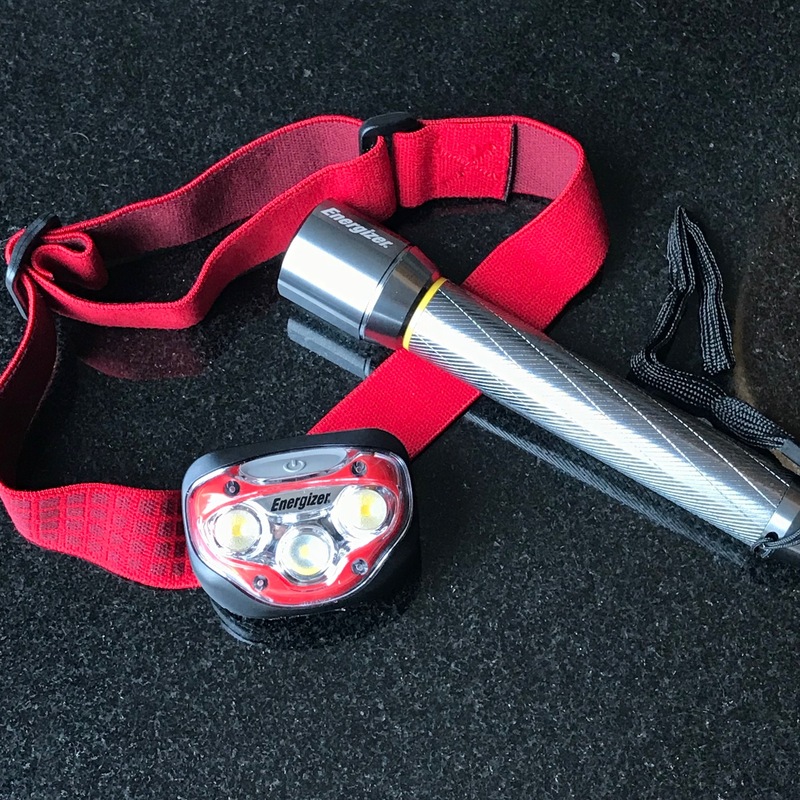 Flashlights are critical in getting around the attic, and the headlight comes in extra handy (pun intended!) when you need your hands free to handle all those boxes! 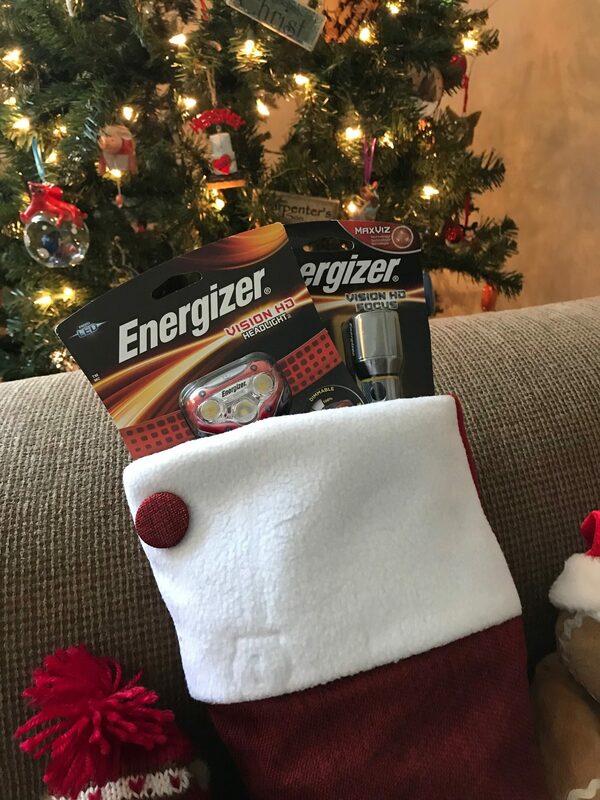 How would you use the Energizer Vision HD lights this holiday season and throughout the year? Energizer® headlights cost between $15 and $30 (before taxes). Energizer® metal light series cost between $15 and $25 (before taxes).